Home News Medical Cannabis News What do you really know about CBD as a medicine? Columbia Care, a global medical cannabis leader, provides a closer look at CBD as a medicine, its limitations, potential and future applications. The beneficial properties that the cannabis and hemp plants impart are due predominantly to phytocannabinoids, a group of naturally occurring, biologically active chemical compounds. The two most abundant are cannabidiol (CBD) and delta-9-tetrahydrocannbinol (THC). But can these compounds help us understand CBD as a medicine? Science has taught us that if these plant-produced phytocannabinoids are ingested, they act on the same cannabinoid receptors as the endocannabinoids that the body makes itself. The endocannabinoid system (ECS) is comprised of receptors on cells throughout the body that are bound by natural endocannabinoids, leading to biological downstream effects that may prove beneficial for certain medical conditions. Endocannabinoids can have positive effects in cardiovascular and respiratory disorders, musculoskeletal disorders and neurological disorders, specifically epilepsy (Pacheret al., 2008). Is taken in consistent amounts. The second issue is easier to address: doses of CBD products important for clinical results are varied, with epilepsy and schizophrenia doses in the 600-1,000mg/dose range, and anxiety and health promotion in the 20-30mg/dose range. This varied dosing convention leads to great confusion among physicians, patients and wellness consumers in purchasing products that will allow them to take the correct dosages to suit their needs. Clarity around optimal CBD dosing requirements for various conditions requires more research, as does the role of minor cannabinoids in reducing the total amount of CBD required for efficacy. Columbia Care’s dosable high-CBD products, ClaraCeed™ and ClaraCeed Ultra™, are currently being used by patients in a dose escalation titration schedule. This should allow us to understand which conditions may require higher and more frequent dosing (depending on the bioavailability of the formulation) to be effective. To highlight the issue that the unregulated and under-regulated global industry has created for patients, very little of the commercially available CBD products actually contain what their label states, either in chemical composition or volume. A recent study of CBD products available online, specifically tinctures and vaporisation oils, showed that more than 69% were mislabelled in the concentration of CBD they contained; more than 43% with less CBD, some with virtually none, and some containing THC (Bonn-Miller et al., 2017). 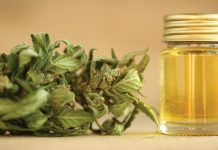 In 2015-2016, the US Food and Drug Administration (FDA) sent warning letters to companies selling products whose actual CBD content was negligible or less than 1% of the labelled content (US FDA, 2017). Unfortunately, this does not scratch the surface of the problem due to its scale. Contamination is an additional problem with unregulated CBD products. A recent study analysed the chemical compounds in nine different CBD cartridges for e-cigarettes (from a single supplier) and highlighted serious safety concerns; four of the tested products contained 5-fluoro MDMB-PINACA (5F-ADB), a dangerous synthetic cannabimimetic, and one contained dextromethorphan (Polkas et al., 2019), a cough suppressant and ingredient commonly used in illegal production of methamphetamines. Additional contaminants, such as microbes, heavy metals and pesticides are also common in these unregulated products (Dryburgh et al., 2018). With these products now easily accessible in countries worldwide, a demand for improved product safety should be at the forefront of the conversation around cannabis. The quality issue is also true of edible products. In another recent study, only 17% of 75 different tested edible products were labelled accurately, where about 25% of the products had less cannabinoid content than labelled (Vandrey et al., 2015). 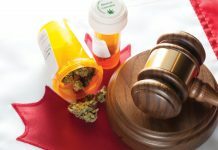 Unfortunately, despite the US FDA’s warnings, the onus is currently on cannabis operators, policymakers and state regulators to develop accurate and consistent products. While the results from the Epidiolex trial are certainly exciting and prove that pure CBD can help patients suffering from LGS and Dravet, both of which are rare but severe disorders, CBD has the potential to help epilepsy patients beyond these two confined syndromes. Columbia Care is currently collaborating with The Center for Discovery, a residential facility in New York, to study the efficacy of its high-CBD, low-THC product, ClaraCeed, and ultra-high-CBD, low-THC product, ClaraCeed Ultra, in patients with refractory epilepsy. The aims of this study are to determine the dose for tolerability and potential reduction of a broad range of convulsive seizures using precisely formulated, full spectrum cannabis-derived medicines where CBD is the main, but not the only, active ingredient. In addition, we hope to demonstrate that these novel unit dosed medications will enable patients to continue taking their current medications without polypharmacy risk. 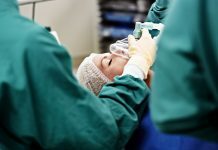 Finally, we hope to see improvements among children and adults with drug-resistant epilepsies. We are optimistic that the study results will add to the scientific data demonstrating the potential of CBD as a primary active ingredient to treat drug-resistant epilepsies of all types. The underlying theory behind this effort is based on the belief that, because ClaraCeed and ClaraCeed Ultra use a proprietary combination of cannabinoids and not simply CBD, they can reduce the severity and frequency of a variety of seizures beyond what CBD alone can do. By optimising the method of administration, Columbia Care hopes to determine that ClaraCeed and ClaraCeed Ultra formulations can not only be used safely with other medicines but can have a more favourable side effect and, potentially, outcome profile. A series of controlled scientific studies have shown CBD to be effective in treating symptoms of spasticity in multiple sclerosis (MS), a debilitating disease of the central nervous system. In some EU countries, Sativex, a product which contains THC in addition to CBD, is approved for MS spasticity. However, as no current MS treatments are capable of halting or curing the disease and many patients wish to avoid the psychoactive effects of THC, many patients turn to alternative treatments in addition to their current medical programme to manage their day-to-day symptoms, which can include pain, muscle spasticity, fatigue and depression (Rudroff & Sosnoff, 2018). Research has concluded that CBD can reduce many or all these symptoms, thereby increasing overall patient mobility (Koppel et al., 2014; Rudroff & Sosnoff, 2018). At Columbia Care, we have found that, for many patients, the addition of specific low doses of THC to a combination drug is important to see optimal benefit. Columbia Care data shows that many MS patients routinely choose EleCeed™, a product that contains an equal ratio of CBD:THC as well as several additional minor non-psychoactive cannabinoids to improve outcomes. The data analytics driving Columbia Care’s product innovation and cannabinoid selection and optimisation process for this population of patients is based on the aggregation of longitudinal ‘real-world’, patient-reported data that enables caregivers and healthcare consumers to accelerate the path to the best medication and outcomes. While these results are promising, additional studies should be conducted to determine benefits and potential risks of long-term CBD treatment. In another study conducted by Aran and colleagues, behavioural outbreaks were improved or much improved in 61% of patients (Aran et al., 2019). Other researchers did not find such promising conclusions (Poleg, Golubchik, Offen, & Weizman, 2019). From the current evidence, it appears that CBD could be effective in autism; however, it is clear that more research is needed, particularly to determine the role of low dose THC in this treatment. For Columbia Care, although autism is not generally a qualifying condition for enrolment in medical marijuana programmes, we do serve patients that suffer from autism in addition to their qualifying condition. Anecdotally, patient behaviour has improved after treatment with our medicines. When appropriate, these observations are registered and monitored on a longitudinal basis. The availability of Columbia Care’s unit dosed medications (TheraCeed, EleCeed and ClaraCeed) manufactured with pharmaceutical-quality consistency enables researchers to compare the impact of both format and formulation adjustments across patients. The long-term goal of collecting and analysing these data is to provide caregivers and providers with additional supporting insights and reliable data to maximise the potential benefit of cannabinoid-based medications. At doses ranging from 300-600mg, CBD has been shown to reduce experimentally induced anxiety in healthy controls as well as to reduce anxiety in patients with social anxiety disorder (Blessing et al., 2015; Hoch et al., 2019). However, CBD was not found to affect baseline anxiety levels (Blessing et al., 2015), demonstrating that while it may be effective for individuals suffering from anxiety disorders, it has not been proven to help individuals with normal daily life stressors. While anxiety is not a common qualifying condition to enrol in a medical cannabis programme on its own, we find that a portion of Columbia Care patients present with anxiety in addition to a qualifying condition. Anecdotal evidence suggests that these patients that receive Columbia Care products, particularly TheraCeed and EleCeed, have an improvement in their anxiety symptoms. We intend to use our considerable research and data analytics capabilities to conduct high-quality research to close the gap in the global knowledge of the relationship between CBD and anxiety. Although high-THC, flower-based products, particularly ‘skunk’ varieties and products mixed with other psychogenic agents like ‘spice’ or K2, have been implicated in increased numbers of initial psychotic breaks and bipolar episodes, CBD has been found to be effective in treating schizophrenia (Bhattacharyya et al., 2018; Hoch et al., 2019; Walkey, Tanguay, & el-Guebaly, 2018). In research studies with schizophrenia patients, those given 800mg/day of CBD for four weeks showed a similar improvement in positive and negative symptoms as patients treated with an antipsychotic commonly used to treat schizophrenia (Hoch et al., 2019). Both CBD and the antipsychotic therapy were significantly more effective at improving symptoms than placebo. Importantly, the side effect profile of CBD was significantly more favourable than that of the antipsychotic, amisulpride, suggesting that CBD could be a preferred method of treating schizophrenia to some pharmaceutical drugs, which have serious and long-lasting adverse effects. Investigators at King’s College London are planning large global studies to determine if the addition of high-dose CBD to the usual treatments can help these patients. Columbia Care takes its responsibility seriously as one of the leading medical cannabis companies in the world that is able to participate in rigorous scientific research, a capability that is possible due to the quality and consistency of its products. As such, we intend to use our unit-dosable products, such as ClaraCeed Ultra, which is formulated to optimise a dozen different cannabinoids, in global research settings to assess the benefits of CBD for the treatment of mental health disorders such as schizophrenia. The wellness claims around CBD focus on its potent anti-inflammatory effects, both when consumed orally and when used topically. There is clear preclinical data to support this hypothesis and animal model studies show evidence for CBD’s potential in alleviating inflammation associated with colitis, arthritis, neuroinflammation and pulmonary inflammation (Burstein, 2015). In animal models of arthritis, topically administered CBD significantly reduced joint swelling and additional arthritis symptoms (Hammell et al., 2016). While these early results are promising, robust studies are necessary to conclusively demonstrate CBD’s anti-inflammatory properties in humans. There is hope that when used on a regular basis in the correct doses, CBD might be able to help people with minor inflammation. Peripheral neuropathy involves severe pain in the nerves of the hands and feet, and inflammation plays a key role. Many of these patients are prescribed opioids to control their pain based on the current standard of care, but medical cannabis has long been thought to be a better alternative. At Columbia Care, we recently completed a pilot study demonstrating that 62% of patients decreased or stopped their opioid use while taking Columbia Care’s formulated low-CBD medicines, such as TheraCeed. This research is the basis for a collaboration with Columbia University, funded by the National Institute on Drug Abuse (NIDA), to study opioid use in patients taking Columbia Care’s products. We believe CBD, along with several other less prevalent cannabinoids, plays an important supporting role in the efficacy of these medicines to reduce pain by enhancing the benefits of THC, allowing us to reduce the dose of THC required to achieve maximal therapeutic benefit. One of the most often discussed claims surrounding CBD is that it can cure cancer. Although in vitro studies demonstrate that CBD prevents cell growth and induces cell death in cervical cancer cells (Lukhele & Motadi, 2016), this is not yet supported by significant scientific research. More research is required across the board to determine each of the benefits and risks of CBD use. What is generally accepted is that CBD, along with other cannabinoids, has positive palliative effects on cancer patients. In significant populations of Columbia Care patients, we have observed benefits in addressing neuropathy, anxiety, sleep and nausea-related discomfort. 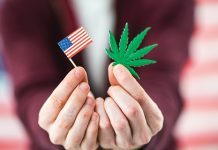 With initial controlled scientific research into the medicinal benefits of CBD and its increased popularity in the health and wellness space, the cannabis industry has expanded rapidly to include an array of unregulated CBD products. 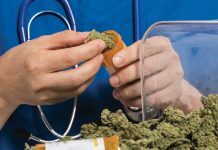 As a result, there are concerns about the consistency and quality of some of the products that are readily available to patients and consumers today. It is clear that not all CBD products are created equally, with mislabelling and contamination being commonplace. A collective effort should be made by all operators and regulators to improve the quality of products and information to the level that people deserve. If not, not only will these medicines fail to provide much-needed relief, but they could end up harming the very people they are meant to help. Columbia Care has made a significant investment in its product development and manufacturing capabilities, which is the reason why TheraCeed, EleCeed and ClaraCeed in every available method of administration are consistently dosed and properly labelled. We believe that it is imperative that all products culminate in the safest, highest-quality experience for all people. 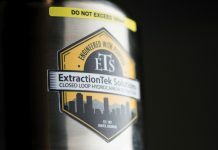 This includes good manufacturing practice (GMP) certification for its medical cannabis manufacturing facilities, the first of which was certified in Florida. The Florida facility reports tolerance specifications of less than 1% active pharmaceutical ingredient (API) variability across its initial production batches, which is well below the US Food and Drug Administration’s 10% benchmark for API variability for pharmaceutical products sold in the USA. These milestones highlight the company’s commitment to quality and safety in medical cannabis manufacturing. Columbia Care remains committed to working toward achieving less than 1% API variability for every production batch across all of its manufacturing facilities. 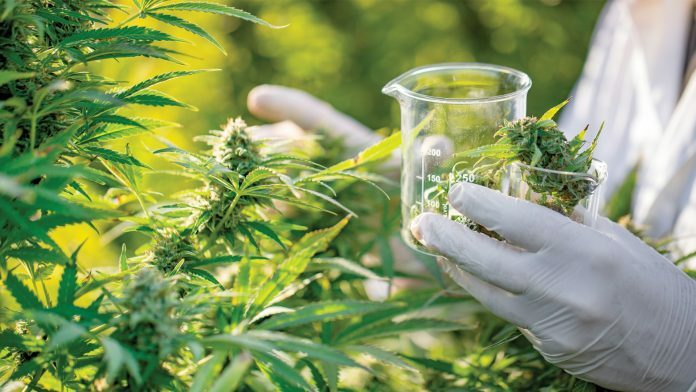 At Columbia Care, we strive to set the global quality standard for cannabinoid-based medicines and have been doing so since our inception in 2012. We understand that patients deserve the highest-quality product possible to treat their conditions, whether they be turning to it for medical or wellness reasons. Columbia Care meticulously regulates the concentrations of the top 12 most abundant cannabinoids in its branded products and has great familiarity with the compounds contained in its wellness products. This knowledge and expertise are especially important given the wide spectrum of therapeutic efficacy that can be achieved with both single ingredient and combination products as well as the consistency and quality issues that have plagued the cannabis industry to date.